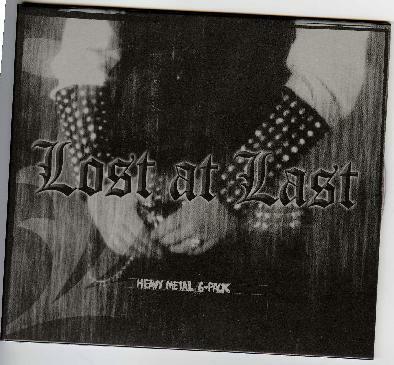 Lost at Last - "Heavy Metal 6-Pack"
Lost at Last hail from Bergen in Norway and in some ways you wonder if these guys are serious or not or making fun of themselves. Here is what they describe themselves as: "We've been described as a mix between Entombed and Turbonegro, somewhere in the middle of Machine Head and Monster Magnet, raised on Judas Priest and Black Sabbath". The EP features 6 heavy metal tracks with some cool songs and sometimes funny lyrics. Check them out, you will like them. For more information you can visit: http://www.heavymetaltothebonebaby.com.